Couldn’t help myself… I talked myself out of working today, after doing some dishes and minor projects, and went and kidnapped Quinlan. We’ve wanted to make a Cowboy Counting Book together, so off we went! We climbed around the barn, and loading chute, and tractors, and toys… 111 photos later, we stopped! 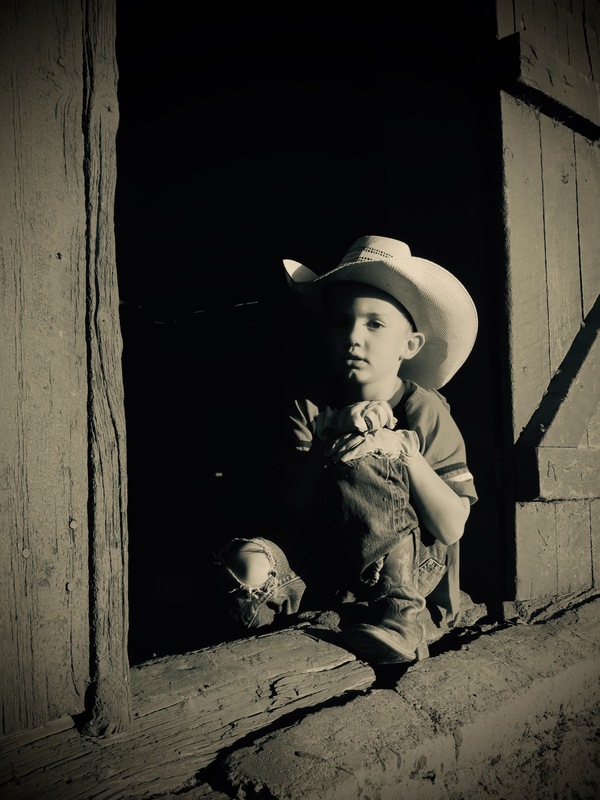 When I get those whittled down to my favorites, I do believe I will just print him off his own book… I started another one with the four grandkids this summer, but never followed up with the final photos. These kids are JUST SO STINKING CUTE, I could make photo books all day long!!! 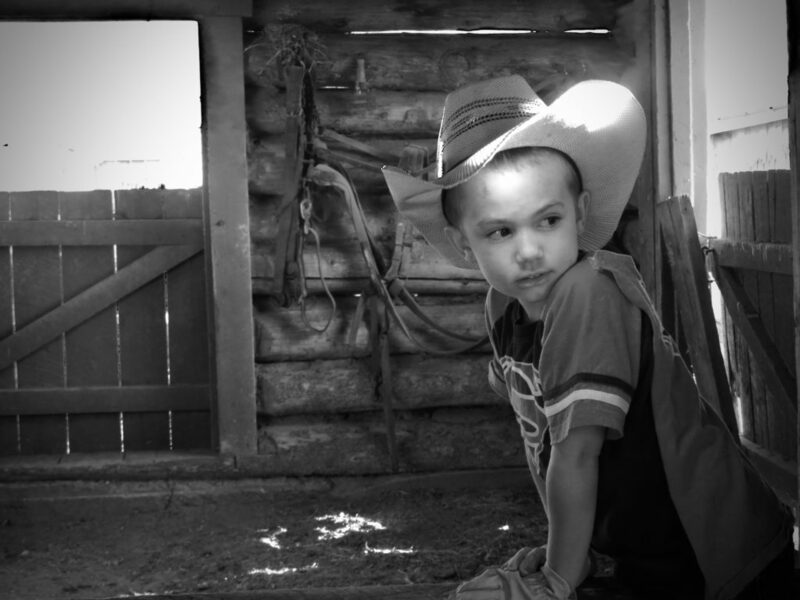 Thing is, I’m supposed to be taking photos of Jaxon for his fourth birthday… maybe that will happen tomorrow. Then, there’s the VIDEO. Heavens, the kid told me to get my video camera out (which I promptly did!) Oh, my! That’s a story for another day! We were literally rolling in the corral laughing!!! I think I pick #1 and #4, but they all are fantastic! Hard to choose ‘cuz they are all terrific! 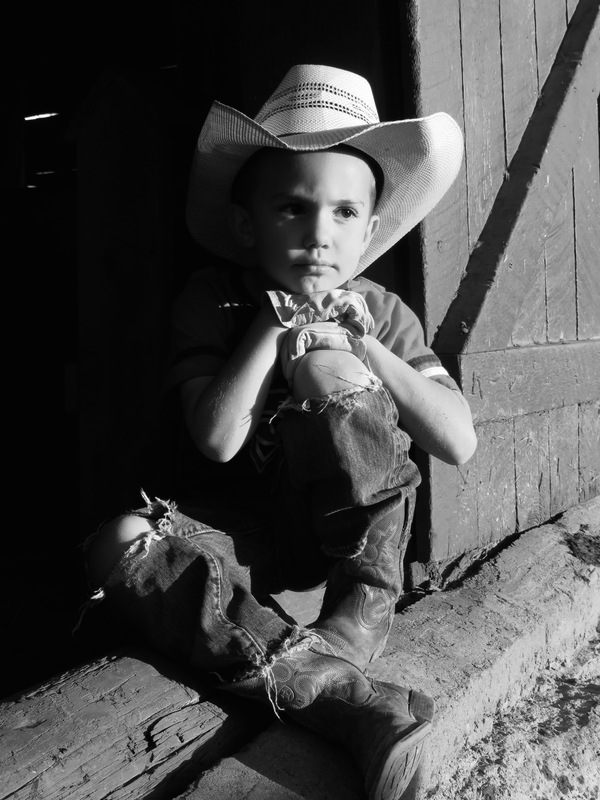 I guess #1 – pensive young cowboy. The top one in black and white! That one especially stirs up instant emotions! The first one for sure. 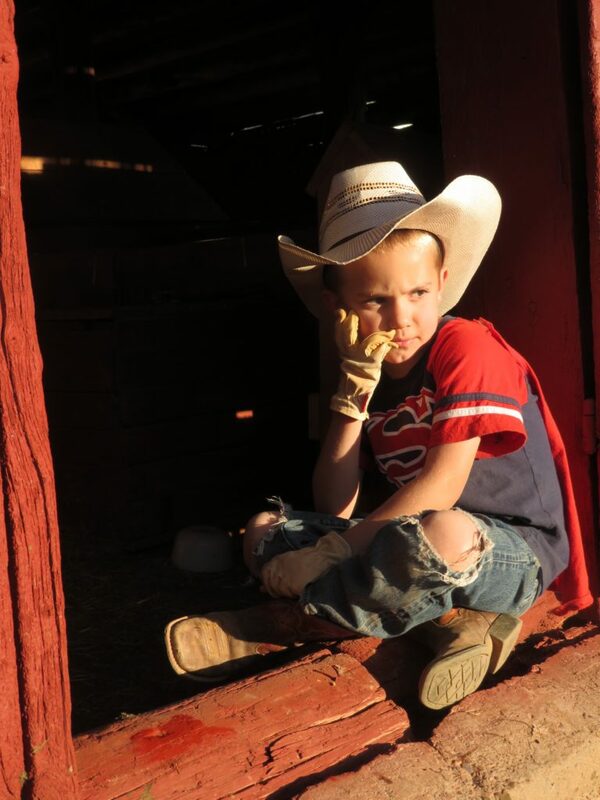 Thinking about roping, horses, what Dad and Grandpa are teaching me, etc. Oh my goodness!! #1 and #4, but I love them all! They are all wonderful photos, and I especially love the first one! #4 for the light and shadow. #3 for that little boy look. I wonder what he is planning. Glad I’m not the only one doing photo books for the GKs. I’ve got 70+ photos to get printed and put in their books. Enjoy your time with your little people Carol. They are precious moments indeed. Picture one is my fav – they are all outstanding. These are great pictures. It would hard to choose just one. Love that Superman cape! I like the first one for composition. But I’m a fan of color, so I also like that one. Way to go Grandma!